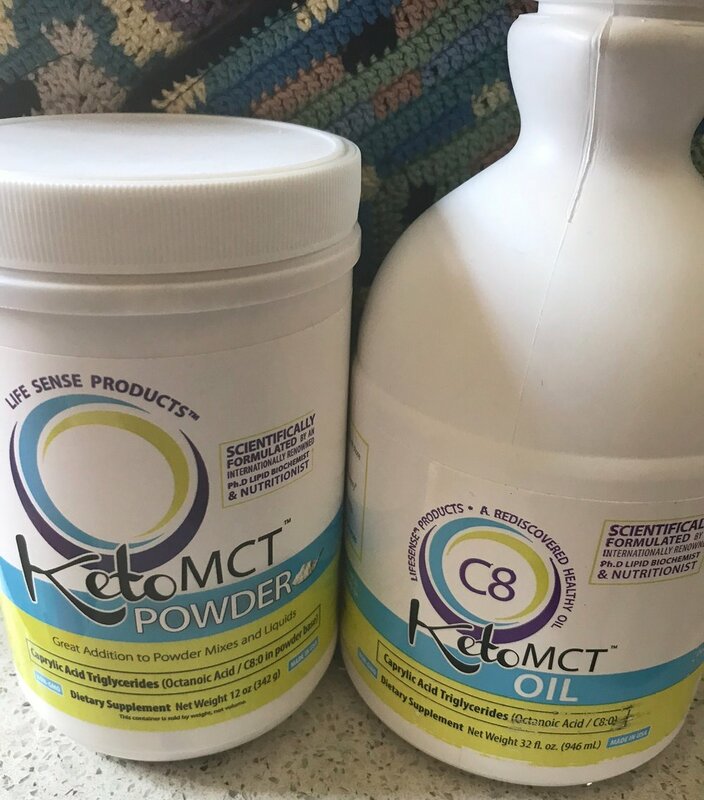 The LifeSense Products, manufactured in the USA, are more ketogenic than coconut oil (mostly C12 - Lauric Acid) and MCTs with mixed fatty acids. The product line is premium quality and Non-GMO. All products do not contain sugars, artificial preservatives, colors or additives and are suitable for vegan and Gluten-Free lifestyles. All LifeSense products are developed with biologically and physiologically meaningful amounts of active ingredients on a single or dual serving basis. For about 2 weeks now i’ve been switching off between the liquid and powder version of LifeSenses KetoMCT. I am very impressed with the taste, texture and quality of both these products. I have used many other MCT oils and powders in the past and some have a gritty or off taste to them, making them not very appealing. It also settles well in my stomach not causing any gassy or tummy issues. If your looking for a good quality MCT Oil & Powder look no future, you found it. Does not contain sugars, artificial preservatives, colors or additives and is suitable for vegan and Gluten-Free lifestyles. Keto Krate is the perfect monthly low carb snack box that comes right to your door. No contracts, cancel anytime and 100% money back guarantee. Every month I look forward to my Keto Krate. It's packed full of six or more low carb snacks, all full size. Usually products i've never tried. It helps me find new and yummy keto snacks. Plus you will always receive $20 or more in coupon codes to use on the products out of my box. 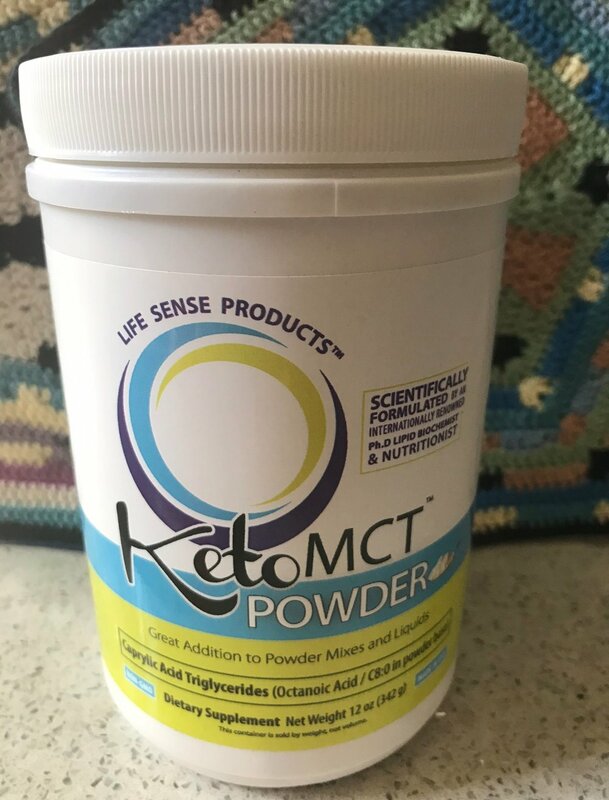 Keto Krate is gluten free, maltitol free, aspartame free, and soy and sucralose conscious. Soy or sucralose will never be found high up on the ingredient list. Super Snack Time Pizza in a Bag is the perfect on the go low carb snack. This is the best pepperoni jerky ever... it's really like eating a piece of pizza, but out of a bag. Each slice/piece is flavored with outstanding pizza toppings. I love pizza, so I knew I would love Pizza In A Bag, I was right, yummy! The taste was perfect, my favorite is the Pepperoni. It was like eating a slice of pizza on the go. One bag has quite a few pieces, so I made each bag last 3 days. It was the perfect for after my workouts. stop reading and start eating.